As the days get shorter and the weather gets cooler, the giant pandas at the Smithsonian’s National Zoo are spending more time in their yards. Yard swapping is a form of social enrichment. Giant pandas are territorial and adults do not spend time together outside of breeding season, but they do communicate through scent marks. They make scent marks using a gland under their tails that secretes an oily substance. The smell is very interesting to giant pandas and contains information about the panda who left it. When the pandas swap yards, they have the opportunity to investigate scent marks and explore different yards. Tian Tian will sometimes spend almost an entire day smelling and scent marking a different yard, especially when he is rut, as he is now. Last Tuesday, Mei Xiang and Bei Bei swapped yards in the morning. Tian Tian noticed his new neighbor and the two spent some time looking at each other through the howdy mesh window, but Tian Tian soon wandered away. Mei Xiang had some scent marks to explore in Bei’s yard, too, as we have already seen him beginning to scent mark. The cold weather has also brought out the playful side of the pandas. Mei Xiang had a long play session in the first snowfall of December, climbing trees and rolling down the hill in her yard. And her play sessions have continued this past week. Since his veterinary exam last month, Tian Tian has been receiving specially made biscuits courtesy of the Department of Nutrition Science. 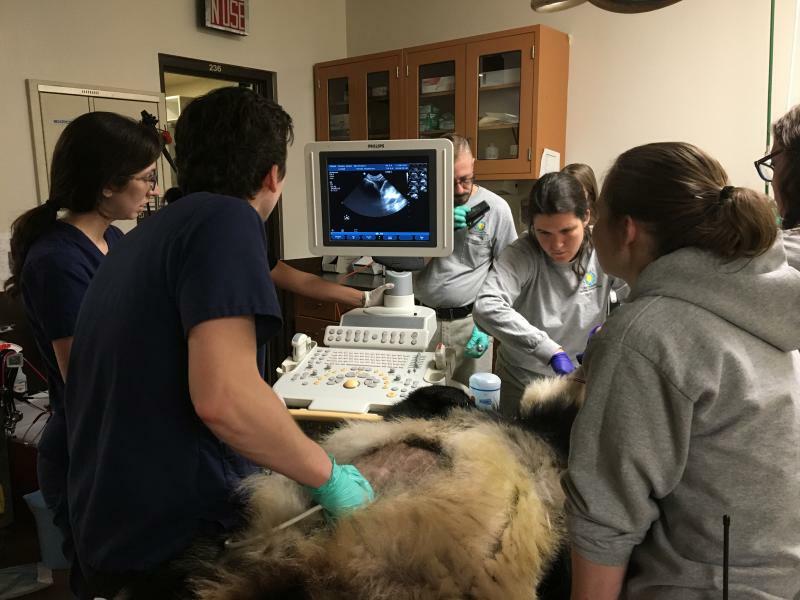 Veterinarians performed a preventative health exam as a precaution in November because Tian Tian had lost some weight during the spring and summer months and they wanted to take a closer look at him. They did not find anything abnormal during the exam, but Tian Tian may be showing some changes that are normal for an older bear. It’s possible that his gastro-intestinal tract is not as efficient as it once was at extracting energy out of what he eats. The good news is that Tian Tian’s weight held steady in November and increased in December. He now weighs 266 pounds (120.8 kilos). 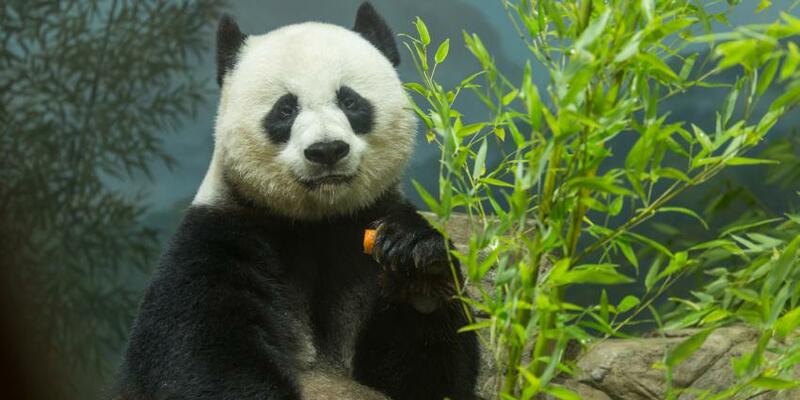 Our clinical nutritionists created the special biscuit recipe to supplement Tian Tian’s usual diet of bamboo, leaf-eater biscuits and fresh produce. This new biscuit is made from regular leaf-eater biscuits, two other high-fiber biscuits and beet pulp. Beet pulp is a great source of fiber. After weighing and mixing the biscuit “dough,” nutritionists chill the mixture, shape the dough into small biscuits by hand, and dry them in a special oven overnight. The following day, they are delivered to Tian Tian who eagerly eats his special biscuits along with the rest of his food. Nutritionists tried three different recipes before arriving at the current recipe, which offers the right balance of taste and nutrition. Tian Tian is receiving about one pound (500 grams) of the special biscuits each day, and he will continue to get them until his weight returns to a more normal range for him. He may no longer need them when he starts eating bamboo culm (stalk) instead of leaves. Giant pandas eat the culm in the winter months and leaves in the warmer months, but Tian Tian has not made that transition quite yet. The biscuits have not replaced any of his normal diet. He is still eating bamboo, regular leaf-eater biscuits and produce. 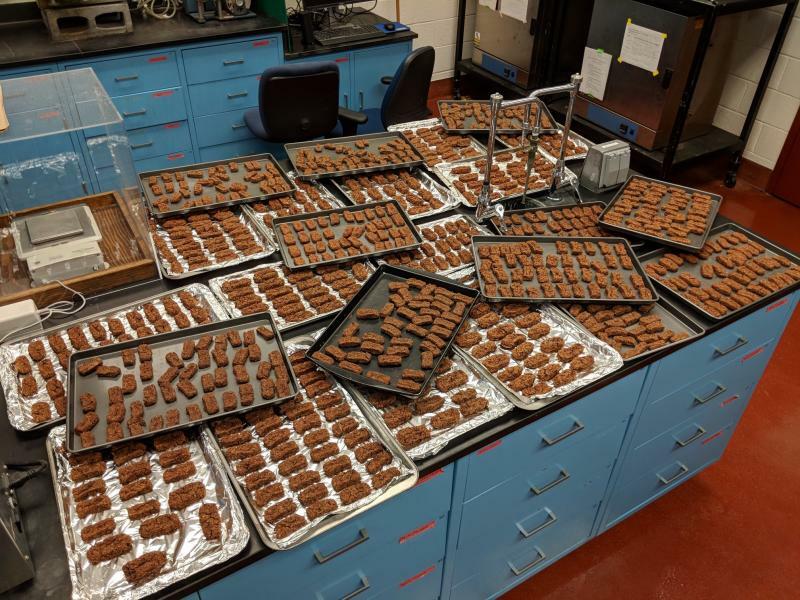 The biscuit-making process is labor-intensive, so our nutritionists have enlisted the help of animal care staff from around the Zoo and volunteers with Friends of the National Zoo. The entire process can look very similar to a holiday cookie assembly line! Veterinarians have a better idea of what may have caused Bei Bei’s mucous stools last month. 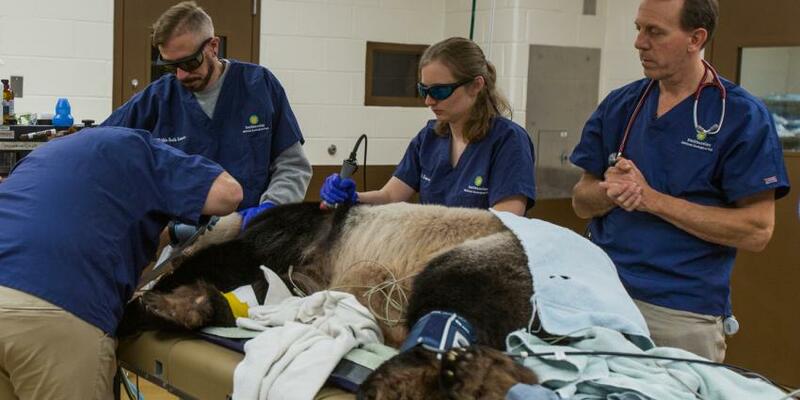 While Bei Bei’s initial laboratory results from his veterinary exam were fairly normal, a culture of his stool later indicated that he had an overgrowth of bacteria that can contribute to gastro-intestinal upset—essentially an upset stomach. After treatment, he has returned to normal and is doing well.